This is the season for weddings. I know how hard it can be to find just that perfect wedding gift. How about getting them a book? 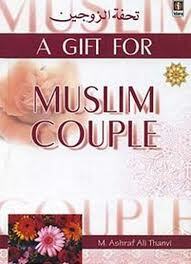 This weeks first headline highlights a book for newlyweds: Book Tells Muslim Men How to Beat and Control Their Wives. The article lists a few quotes from the book: “It might be necessary to restrain her with strength or even to threaten her.” The author later advises that “the husband should treat the wife with kindness and love, even if she tends to be stupid and slow sometimes.” And of course, any book on marriage would not be complete without a chapter on how to beat your wife, right? "In terms of physical punishment, the book advises that a husband may scold her, “beat by hand or stick,” withhold money from her or “pull (her) by the ears,” but should “refrain from beating her excessively.” What century are we living in? This sounds like something out of the Middle Ages. This weeks winner deserves a round of applause and a salute! Korean War Vet Fights off Would-Be Carjacker. Barney, 81, and Constance, 78, have been married for 56 years. They are still best friends. They stopped to get gas in Lincoln Park, Michigan. While Barney was out of the car, ex-con Christopher jumped into the driver's seat and told Constance, "Get out. I'm taking the car." Christopher was recently released from prison but was clearly not rehabilitated. When Barney saw what was happening, he rushed to his wife's rescue. He reached in and turned the car off. At that point, Christopher pulled out a large knife and threatened to kill Barney. 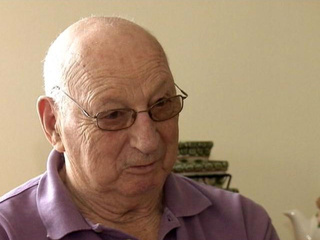 Barney survived the Korean War and he quickly realized he was in another fight for his life. He grabbed Christopher's wrist that was holding the knife and just held on. Christopher was eventually able to break free and run away. He was arrested nearby and will be going back to prison. Thankfully, Barney and Constance were unharmed.